The rotator cuff is located in the shoulder and is subject to overuse and injury. Many people who experience shoulder pain are suffering from bursitis, tendinitis, or a rotator cuff tear. Often, these injuries are found in athletes who overuse their shoulders during play. However, anyone can develop a rotator cuff or shoulder disorder, including people who work with their arms overhead or simply sleep on the same arm each night. At our office, we use shoulder injections to treat acute pain and inflammation in the shoulder and rotator cuff, helping our patients to return to a normal standard of living. that rotator cuff problems are common among U.S. adults? According to the American Academy of Orthopaedic Surgeons, approximately 2 million people visited their doctors for rotator cuff injuries in 2008 alone. Shoulder disorders, such as those associated with the rotator cuff, can cause significant pain and discomfort when performing even the most basic tasks, such as taking a shower or brushing hair. Am I a candidate for a rotator cuff or shoulder injection? You may be a candidate for a shoulder injection if you are experiencing pain and inflammation that has not subsided despite rest, physical therapy, or the use of ice or heat therapy. For more information about shoulder injections, contact our office to schedule a consultation. What should I expect during shoulder injection? 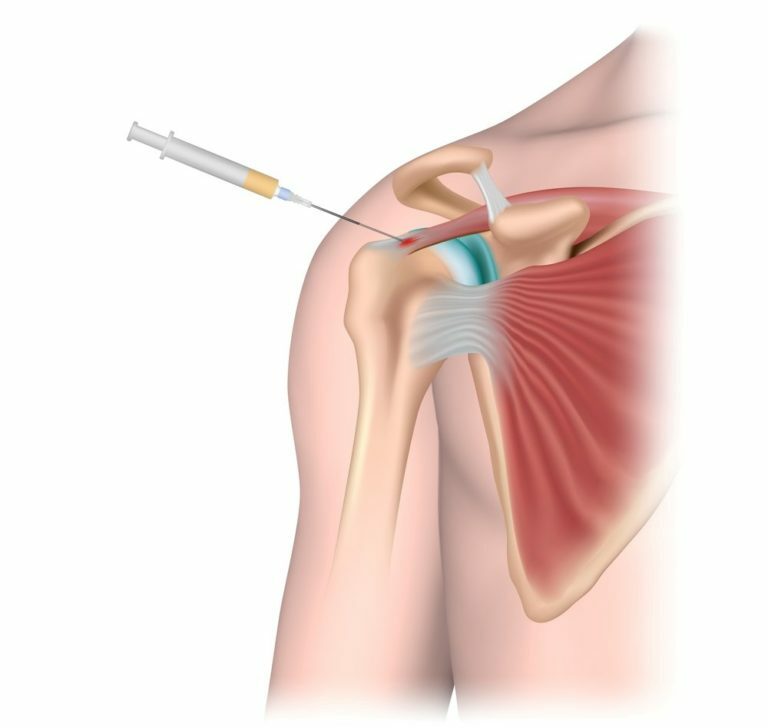 Shoulder injections may be used to either diagnose or treat shoulder pain and inflammation. An anesthetic injection may be used to determine the source of your shoulder pain. If you experience relief from the anesthetic, a cortisone injection will be administered to provide more permanent relief. Shoulder injections are in-office procedures that take only minutes to complete. We will have you in and out of our office with as little disruption to your day as possible. What types of results do patients get after shoulder injections? Many patients begin experiencing relief within just a few days of receiving a rotator cuff injection. Keep in mind that outcomes vary from patient to patient, and additional injections may be needed to achieve desirable results.